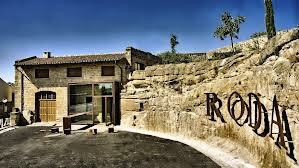 This is one of the “New School” Rioja producers, Mario Rotllant and Carmen Daurella are the minds behind this project and I was lucky enough to meet them at the winery on my last trip to Spain in 2001 with Eric Solomon who was the first importer to bring these wines in the US. I remember visiting the winery in the town of Haro shortly after its completion and being blown away at the facility and the story of their journey to make not only one of Spain’s greatest wines but one that will stand the test of time on a world stage. After seeing the elaborate set up and hearing both owner’s story of their quest to make the best possible wine which lead them to Rioja it was time to taste the wine and after all that hype, the juice lived up to my expectations. That was when I asked Carmen what the price of the wines would be. He just raised his hand and said “don’t ask about the price right now, just enjoy the wine.” That’s when I figured the price would be high but to be able to acquire all these old wines directly from the source all of which are over 10 years old now I think the prices on this offering are incredibly reasonable. Hey this is no Black Friday or Cyber Monday sale but we only have 11 bottles of most of the wines as we are drinking one bottle of each on Friday night. This is also a great opportunity to see how these vintages from Rioja are drinking, if you love Rioja this tasting is a must and it will be the last wine tasting at the Wine Watch Wine Bar till after Christmas. The Wine Bar will be open on Thursday night only this week and I have included the menu for Thursday at the end of this offering. The Fee for this tasting is $115 + tax for reservations call 954-523-9463 or e-mail andy@winewatch.com. Please let us know if you don’t dig on swine or cow and we will be happy to accommodate you. 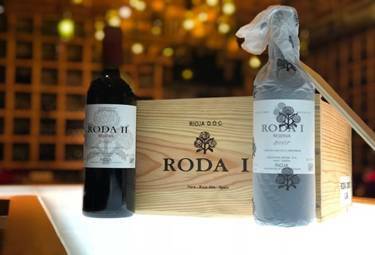 Roda II, like Roda I, spends 24 months in French oak barricas and one year in bottle prior to release. A top wine, resulting from a selection of barrels which appear friendlier and more approachable in youth than those destined for Roda I. 75% Tempranillo, 25% Garnacha (old vines), also aged two years in French oak. In RODA we look for the parcels that that year have ripened in a red fruit profile, with the expression of the aromas present in the edge of the glass, ready to be felt immediately; with sweet spice notes and a kind freshness. In the mouth the red fruit carries the importance, with a fresh, long, silky, voluptuous and continuous mouth pass. 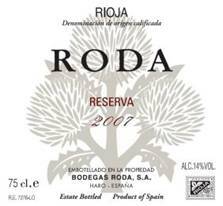 Before vintage 2002, RODA was called RODA II. 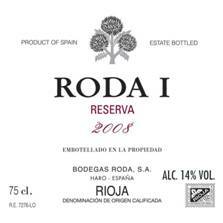 RODA I is blended with parcels that that year have ripened in a black fruit profile. The deep black fruit, is almost always dominated by the plumb and supported by mineral notes, chocolate and balsamic sensations, that form an ensemble that slowly flows from the furthest side of the glass until it becomes huge in the entrance of the nose. In the mouth, the volume becomes evident, the fruit complexity nicely surrounds the mouth cavity showing the numerous and polished tannins. The wine gets longer making stronger the retro nasal sensation every time we breathe. A fruity and fresh sensation will last, inviting us to continue drinking.